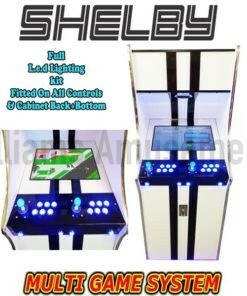 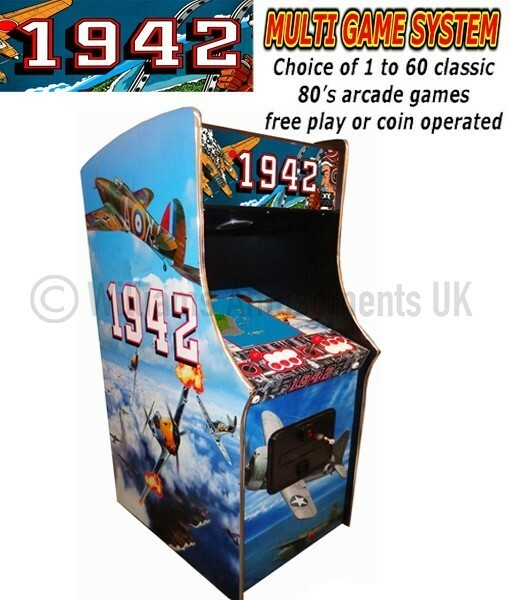 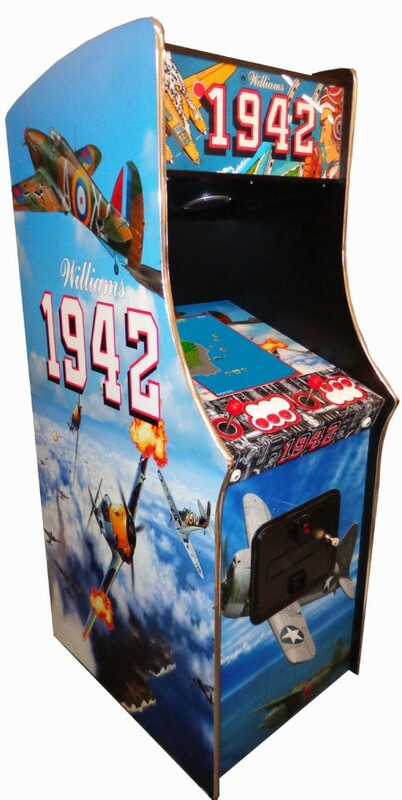 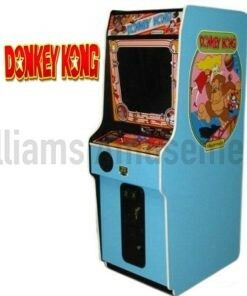 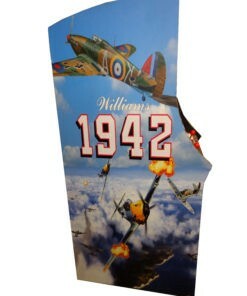 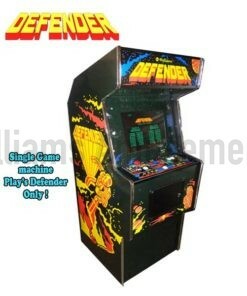 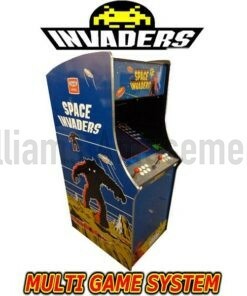 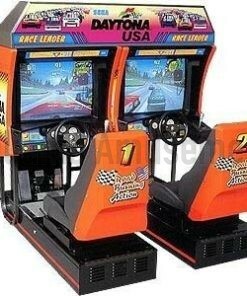 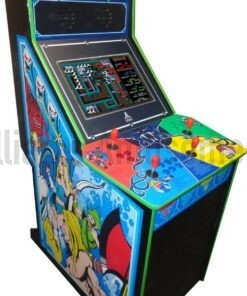 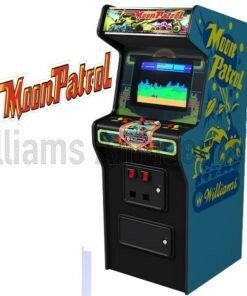 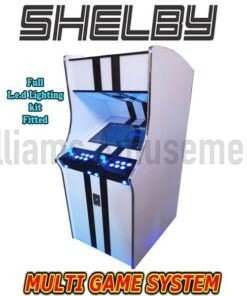 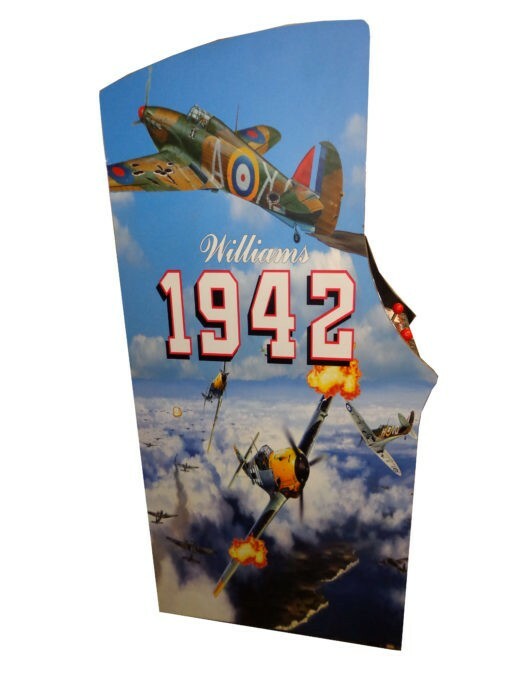 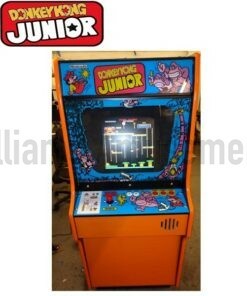 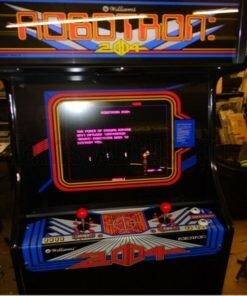 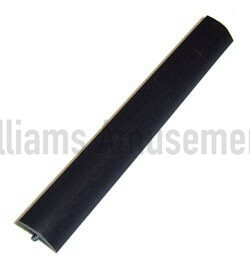 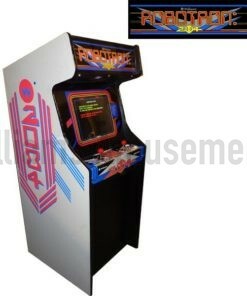 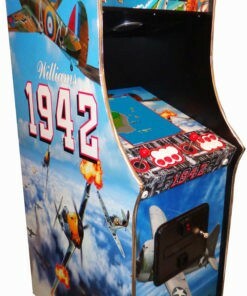 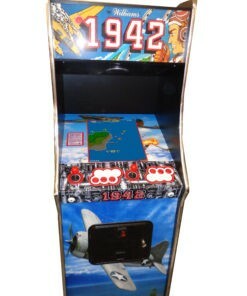 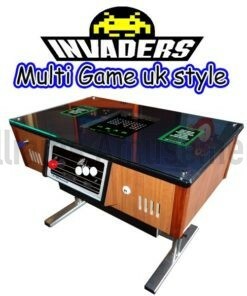 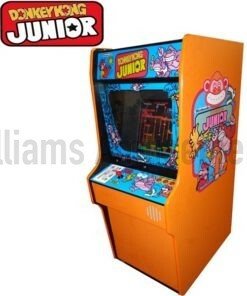 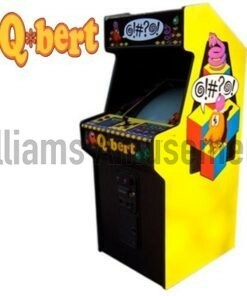 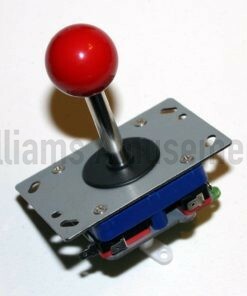 Here we have a 1942 arcade machine classic retro machine. 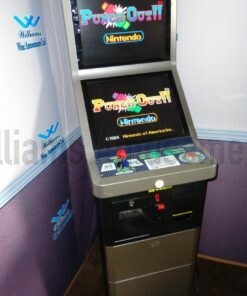 This machine is fitted with 19″ monitor and a game system that can not only play one game but plays 60 classic games. 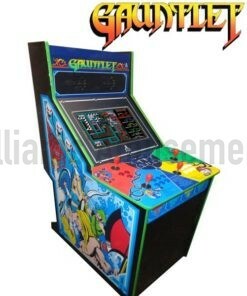 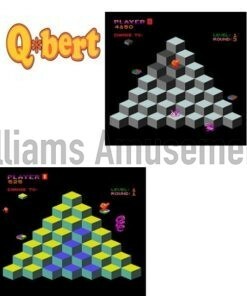 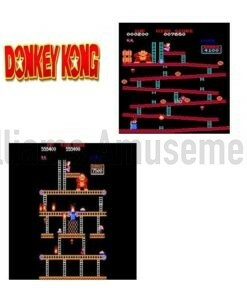 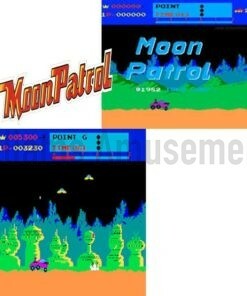 All the fun of the 80’s and 90’s in one great machine. 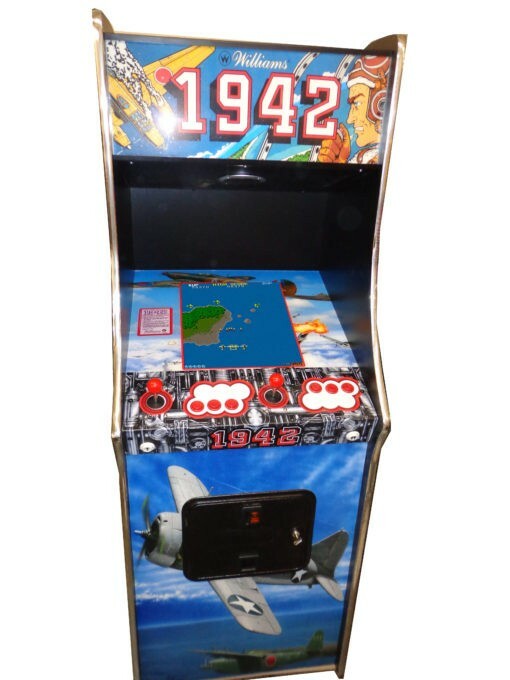 We build all our machines on site here at Williams amusements so you will allays get the best deal directly from the manufacturer.The machine is set on freeplay but we can also add coin operation at an extra cost, please ask.